Got a pencil and paper handy? Good; here are your questions. ● Is the fastest growing in the UK right now? ● Has given Kylie Minogue ‘bestseller’ status in 2018? ● Is used as a signifier of youth and hipness in millennial movies, and TV dramas? 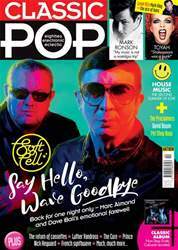 ● Is – in the language of Smash Hits – back! Back! BACK! Answer. It’s our old friend, the cassette. If you came of age during the Eighties, chances are you’ll have fond memories of Memorex. More popular than vinyl, by 1989, UK cassette album sales had reached 83 million; in 1990, Maxell alone sold 350 million blank tapes. Noise reduced by Dolby; walk accompanied by Walkman; cassettes were pop music. So why are they back now? In a world that is increasingly about stuffing media into the cloud so we don’t have to carry it around, cassettes should be completely forgotten. Sure, vinyl sales are steadily increasing, but the argument for records is about the beauty of the package and – for some, at least – the warmth of the sound. Cassettes’ big USP was their handy size and durability. Now that we can have everything on a phone, where’s the upside? Who wants two spools of tape in a plastic clamshell? Quite a lot of people, it turns out. Let’s rewind… After 1989, things started going rapidly downhill for the cassette in the UK. Thanks, Mr CD. 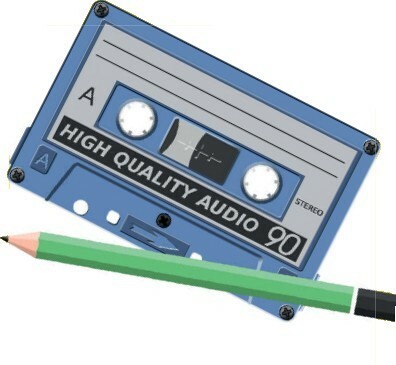 2012 was the format’s nadir: not only did cassettes only manage a pitiful 3,823 sales in the UK, but the Oxford English Dictionary dropped the term ‘cassette player’ from its Concise Edition. By any standard, it looked like it was game over for this once-ubiquitous format. But indie cassette-label owner and DJ Jen Long didn’t think so. During the cassette’s annus horribilis, Long decided to do something to celebrate this “undying format” and, in 2013, Cassette Store Day was born. Along with Steve Rose of Sexbeat Records in London and Matt Flag of Suplex Cassettes in California, it was originally planned as a one-off event at London’s Rough Trade East, but CSD soon snowballed into an international festival with participating shops in the US, France, Japan and China, with both major labels and indies releasing limited editions on the format.